Halloween is one of the best times of the year, with all the fun of dressing up in costumes and eating sweet treats in the cool fall weather. It’s a great time to have a party too, after several months with no holidays to celebrate. Our neighborhood has been celebrating Halloween for years with a potluck gathering, where we all gather at one neighbor’s house for chili and all the fixings before heading out with the kids to go trick-or-treating. There’s usually a dessert or two as well, since most of us like to have something sweet after dinner. These 30 fun Halloween desserts are perfect for Halloween parties, or even just eating after dinner or while watching a scary movie! My favorite is the 10 Minute Eye of Newt donuts! 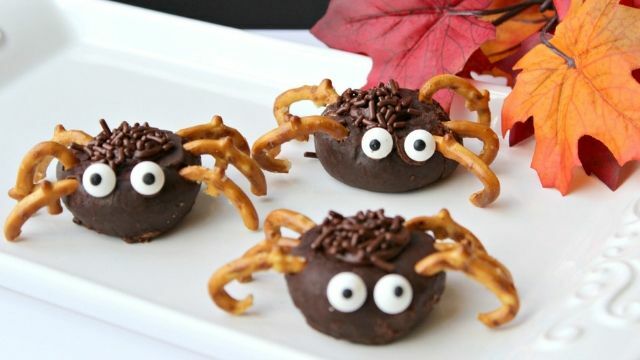 Be sure to try out these fun and easy Mini Spider Donuts too! 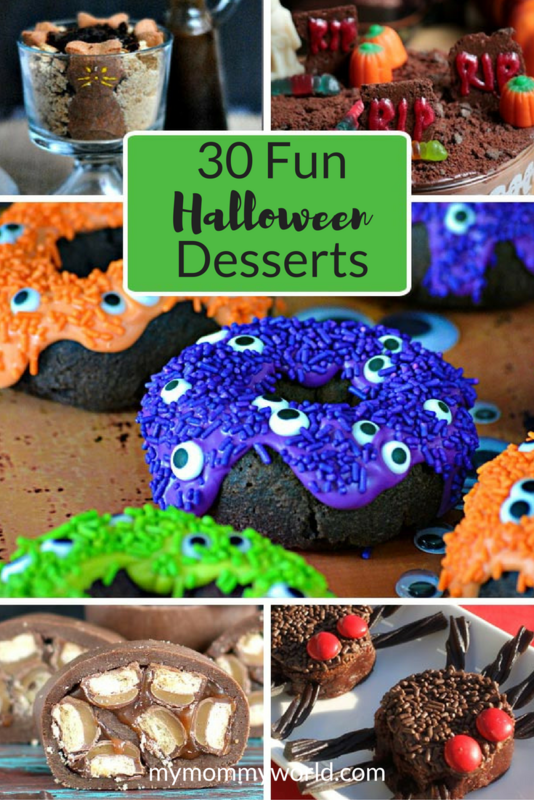 I hope your family and friends enjoy these 30 Fun Halloween Desserts! Happy Halloween! So many great fun treats to make. The butterscotch candy apples sound really good. This is a great collection of Halloween desserts! Hope you are having a great week and thanks so much for sharing your awesome post with us at Full Plate Thursday!